District 6450 has distributed almost 60,000 postcards, like the one below, to prospective members and businesses within one mile of meeting locations. This is their invitation to join us in Rotary. 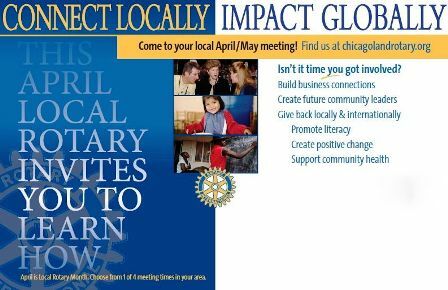 The postcard directs potential members to a special website for them at http://www.chicagolandrotary.org and invites them to attend a meeting at their local Rotary Club.